Iowa has 62 designated opportunity zones, including 61 low-income communities, plus 1 non-low-income contiguous tract. Statewide, Iowa has nearly as many rural census tracts as they have urban ones. 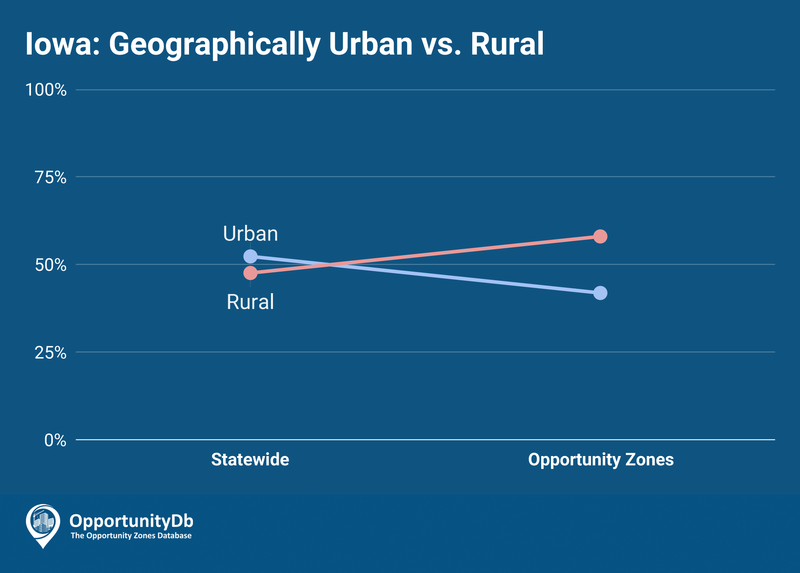 When selecting their opportunity zones, Iowa gave some preference to their rural areas, as 58 percent of the state’s opportunity zones are rural, compared to 42 percent in urban areas.